I just finished building a transmitter, and I thought folks might find the attached article interesting. It was a quick build, and not terribly expensive, and so far, works well. An inspired project! I always wondered about using certain flavors of power transformers for modulation, but, as you point out, an early experience showed there to be problems with frequency response. Magnetics is a weak area of mine, and I would never have guessed that the torroidal style core designs would be better. Are variacs wound on similar cores? So, what do you suppose is the difference? Is it a homogenous ferrite core? I share your frustration locating good RF caps. I have never looked at how the core is constructed in a variac, and I am unsure whether it is the tapewound type or some other construction. You could always take the armature off and wind another winding on it make it into an isolated transformer, load it up to see how the frequency response is. It would be interesting. If you do that please post your results. Yes regarding the caps, high current RF caps seem to be a dying breed. I mean you can buy them new...for like ~$50 each, but it's not a $50 problem. wow an H bridge on 75 meters! That is cool. Variac core is a tape core. Great work on your Class D rig using an H bridge topology. I have designed a lot of high power switching power supplies using the H bridge but never tried it as a class D RF final. Some time ago, Stu-AB2EZ did quite a bit of study on using toridal power transformers as modulation transformers and they worked extremely well. Thanks very much. It works pretty well, certainly very clean with that transformer. I appreciate the links, I will check them out. My winter project this year is to gut the modulator and see if I can adapt an outphasing driver. We'll see how it goes. Definitely do a write-up once you complete the outphasing project. I'm really interested in that method of modulation. Will do. I have had a ~100W outphased dual Class E amp up and running. Linearity wasn't stellar and it needs more work. My amp projects got delayed a bit due to a health issue but I am getting back in gear and lining up some work for the cold weather season. Ok, something that has me a little puzzled that I never thought to ask about before, what's the purpose of the .0039uf cap, the 50uH inductor, and the 2 1000pf caps that are between the transformer and the MOSFETs? The purpose of C2, L1, C5 & C6 is mostly to terminate the Vdd rail at the top of the bridge at RF. If you were doing a CW only amplifier one would bypass that point with a very low impedance, however since we are modulating, it needs a network that provides a very low impedance at the carrier frequency but does not roll off the high frequency end of the audio spectrum. Also, with that big toroid modulation transformer having very high frequency response and operating near saturation, there is some possibility of RF leakage back to the primary side, even at 3.8 MHz, so I thought a Pi network would be a good choice. Keeping RF out of the Crown XLS1000 is a very good idea, it is fairly susceptible. The reason for paralleling C5 and C6 is to handle the RF current, get the ESR down as much as possible. Ok that answers that question. Something I've been thinking about that could solve the saturation problem would be to use the transformer along with a choke and cap to get the current off of the transformer. I figure you would need about 500mH of inductance plus a 2-4uf oil cap, the choke gets hooked across the output of the transformer, with the cap in series with the secondary lead on the amp side of the choke. That should take care of the saturation issue as you approach 100% modulation. Another suggestion for anyone building this would be to add a negative peak limiter with a keep alive supply, so that when modulation goes over 100% negative, the keep alive keeps the amplifier from cutting out. As for the spike issue, if the power supply was was keyed instead of being left on, would this make a difference? 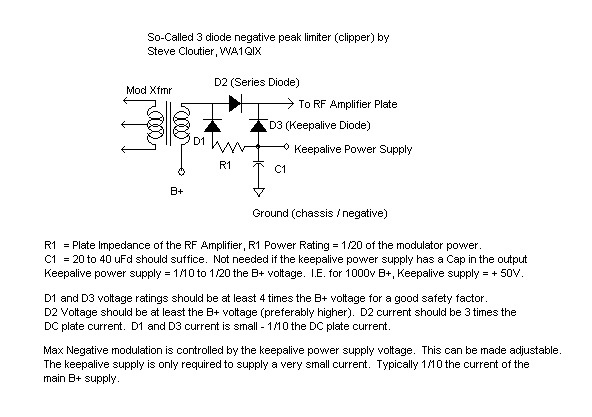 Figure 2 shows what I am trying to describe, ignoring the resistor, C1, and C2. EDIT: Something else I just thought of is that by using a choke and cap to remove the current from the modulation transformer, you could get away with using a transformer with a smaller VA rating. According to some of the other write-ups I've seen on using toroids as modulation transformers, the lower the VA rating (meaning the smaller the transformer), the better the audio performance will be. Sounds like you are describing a Heising choke in your text. In figure 2 of your reference, the Pi network is in the supply lead, (not a Heising configuration and those caps are needed to terminate the "cold" side of the mod xfmr secondary at audio). Heising works well with tube RF finals but low frequency response is limited unless you have a very high value Heising inductor, since the impedance of the choke plummets as you get into the single digits of audio frequencies. I don't know if Heising could be easily made to work with solid state RF decks due to the relatively low modulation impedance, although someone has probably done it. Given the peak DC current needed and the desire for low end response, it would need to be pretty large inductor I think. All that said I think there is a lot of merit to your suggestion of limiting the current on the supply side of the mod xfmr secondary, and limiting the Vdd negative excursions to some positive value. If you build up one of these transmitters and implement these changes I am sure it will be an improvement. Bear in mind this was a quicky, thrown together in a couple of weekends kinda project. There are soooo many better ways to do this than what I did. Regarding your comment about VA ratings vs. audio bandwidth, I think bandwidth has more to do with the type of construction and materials used than the size / VA rating (I am negotiable on this point, I have not tested a lot of transformers re-purposed for modulation). The VA rating does however have to be enough so that 750W peak of audio will not saturate it, especially at the high end of the audio spectrum. It also must carry 5-6 amperes peak for the solid state final. The measured bandwidth of the transformer I used is -3dB down at 3.3Hz and flat to over 20kHz.... how much better than that does it need to be? I think the only way the modulation bandwidth could be improved is with a direct coupled series modulator. No transformers or caps in the audio path to affect the frequency response. I have thought about hacking my Crown XLS1000 and connecting the RF deck ground to the minus rail of the audio amp and driving Vdd directly from the output of the audio amp. That would be a quick path to a series class D modulator with class D final. It would also completely eliminate saturation issues, and remove about 30 lbs of transformer. I have not had the heart to hack up a really nice Crown amp though. Thanks very much for your suggestions and thought provoking comments. By using the modified heising setup, it would be possible to remove the dc current from the secondary. The reason for using a smaller transformer (smaller VA rating) is that the leakage inductance and interwinding capacitance would be less than with a larger one. By using the choke it is possible to run up to approx. 3 times the power you could run without one (or so I've been told) plus the choke would eliminate the saturation issue. My idea was to insert the heising arrangement around the mod transformer ahead of the pi filter. As far as the size of the inductor needed, as the impedance goes down, so does the amount of inductance needed. The rule I've followed when thinking up designs is 10 henrys for every 1000 ohms of final impedance, which can be simplified down to a henry for every 100 ohms. So for a 56 ohm modulating impedance, you need a minimum of 560 mH, 500 to 600 would be enough. I get it. If I were to do any more work on that box I would certainly try your suggestion. I'm planning on building a variation of it myself, possibly at lower power, since I have most of the parts laying around, just have to find time to do it. The two biggest changes I would probably do would be to use the modifed heising modulator arrangement with some kind of negative peak limiting, and to feed the AC through a small variac to provide a way to adjust the voltage so I can run vary the power output. What would really work well would be if I built a direct coupled modulator and modulated it that wayand just forgot about the transformer, so that when I reduced the voltage, I wouldn't have to reduce the modulator output too, since in that case it could be built directly into the power supply. Very cool. Please post your work when you do. That class E RF deck put out about 80W carrier and was broadcast quality with that stereo power amp as a modulator. I gutted it about a year ago for the class D project posted here. I really like the series modulator configuration. It solves a lot of problems, but still, for a legal limit transmitter you really need a monstrous audio amp with over-designed power supplies. Have to say I really like the H bridge design but am at a total loss why anyone would consider using a modulation transformer or even worse a class A series modulator!? PWM, is the only way forward! I realize this is an old post. I have received only 2 negative comments (one on another forum referring to this post) both saying in effect that "PWM is the only way forward" which seems to me to be an exceedingly narrow point of view about what is 'best'. I'm not sure what best or forward really means in this context. 1. I thought it would be fun to try it and see how it worked and what I could learn from it. 2. Because some narrow minded person emphatically stated to me it was not POSSIBLE to modulate a solid state RF Deck with a transformer, this was me calling BS on that statement. 3. So I could use ONE CHEAP COMPONENT in the modulator (BW filtering and such aside) and not have to filter out switching spurs, while maintaining flat wideband audio. 5. Vdd agnostic design, useful with any class of SS RF deck with most any supply requirement. This ran at 170Vdc with no AC power transformer as, RF_in, RF_out, and Modulation are isolated. 6. A simple cheap design that could be built in a matter of days and is capable of broadcast quality (3Hz to 30kHz @-3dB bandwidth without requisite filtering at the baseband level). 2. Impossible to modulate in excess of 100% e.g. modulated DC cannot swing negative. 3. Because, I had the parts laying around and wanted to play with it. I am at a total loss how 'less than ideal' experiments seem to really get some folks competitive angst going. I guess that's supposed to be a good thing? Keep it fun, and stay tuned! Thank you for publishing your research. About 5 years ago I when I decided to experiment with homebrew FET AM I read all I could find and found your article very informative. I did build an H bridge RF deck similar to yours with 11n40 Fets and modulated it with an old Peavey 300W audio amp I got really cheap. While it never made it to an antenna it was a great learning experience, the Peavey however did not survive the ordeal for long. There are many ways to solve a problem. They all have value. Please keep us updated. Hi Nigel, Thanks. I think I might have met you on 160. -A 1200W PEP output version with 2 devices 160, 80, 40 also, did a board layout for that as well (two dual DE series devices in push-pull parallel). -Several non-linear versions (Both CMCD and VMCD types) built on the above boards, a 150W class D for 136kHz and for 472kHz etc. And I just recently I built up a 40m version of the 2012 AM transmitter (yes transformer coupled modulator!) using a $30 transformer, and better modulation BW filtering. Solved the saturation problem.